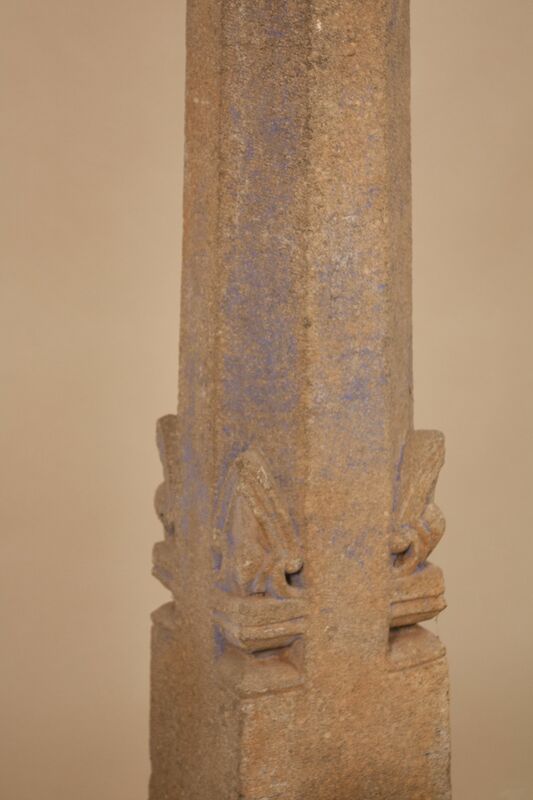 These octagonal granite pillars are from the historic Blue City on the edge of the Thar Desert in Jodphur, India. 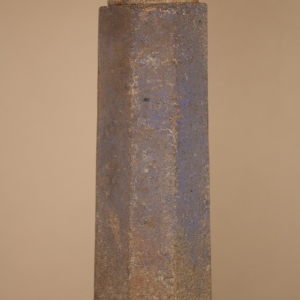 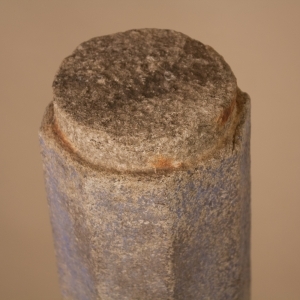 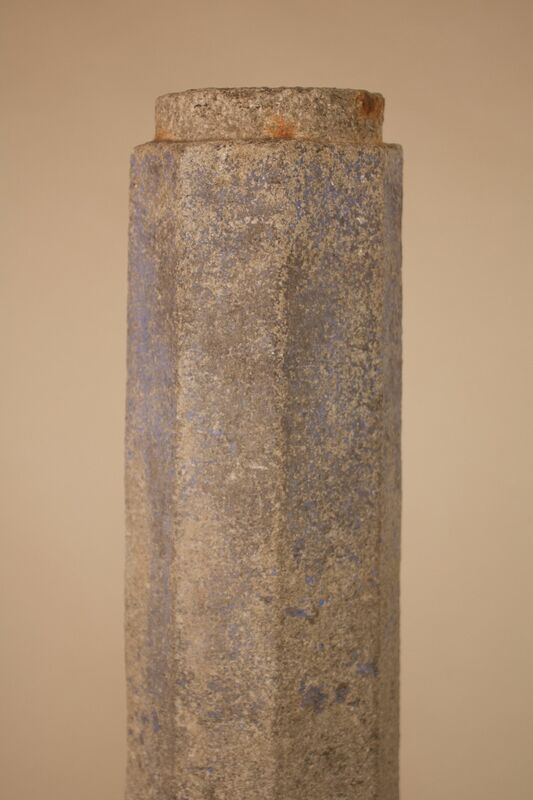 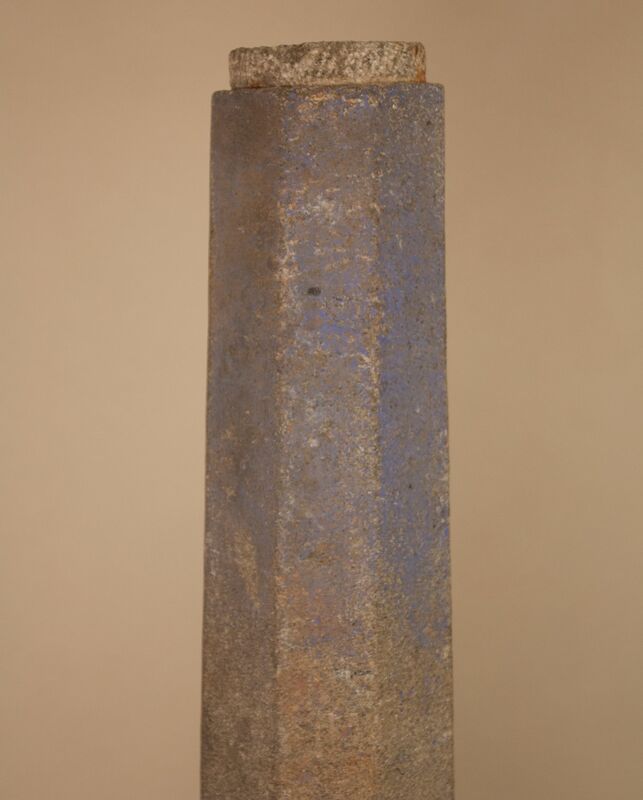 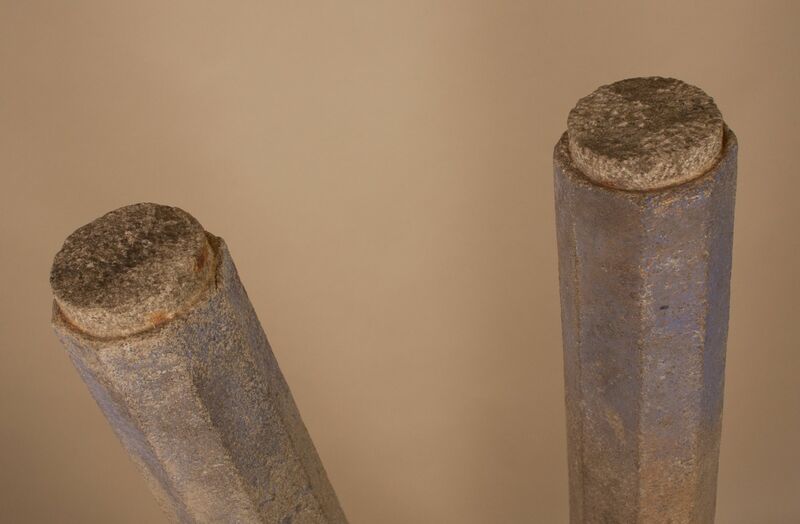 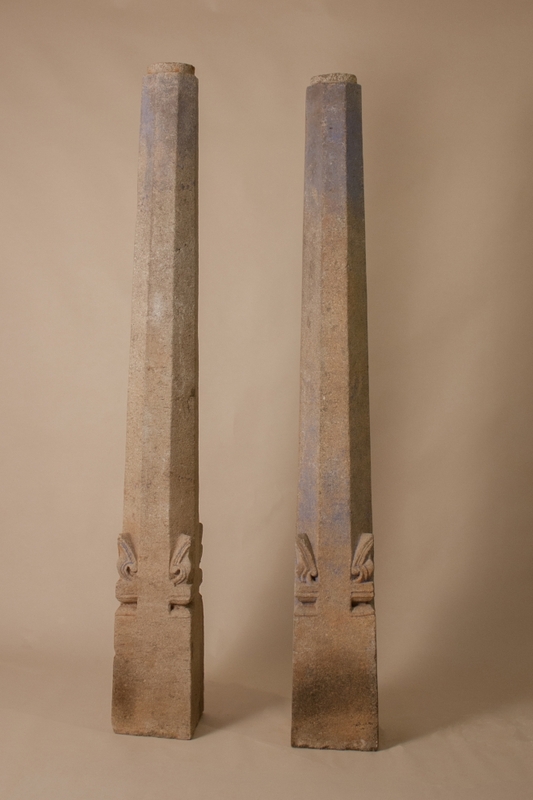 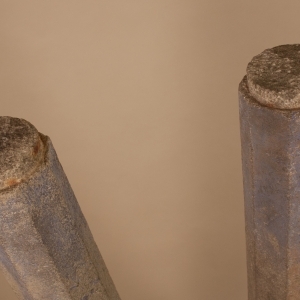 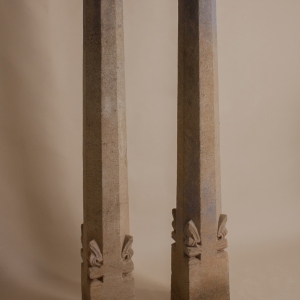 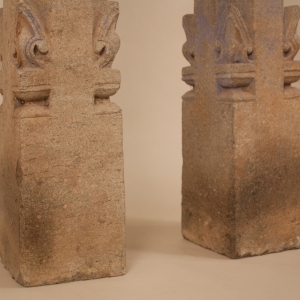 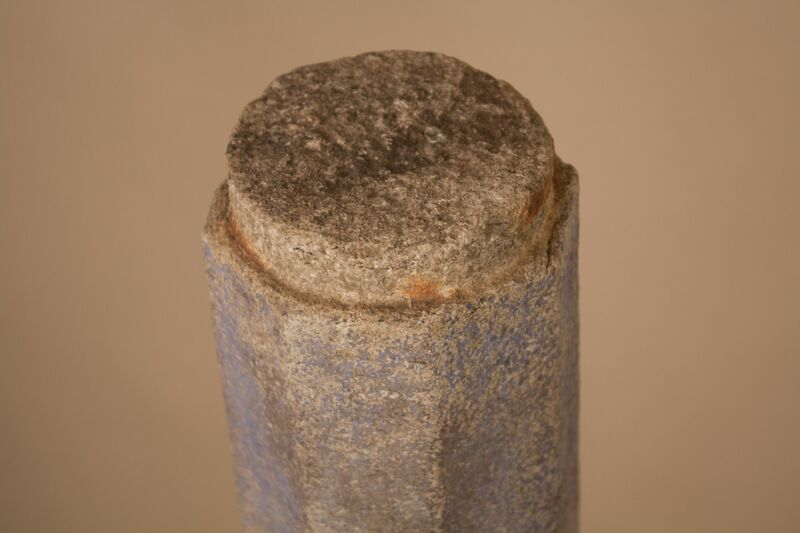 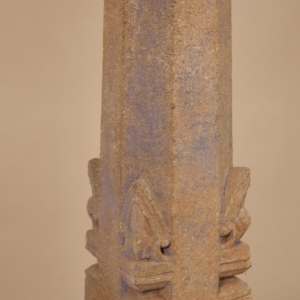 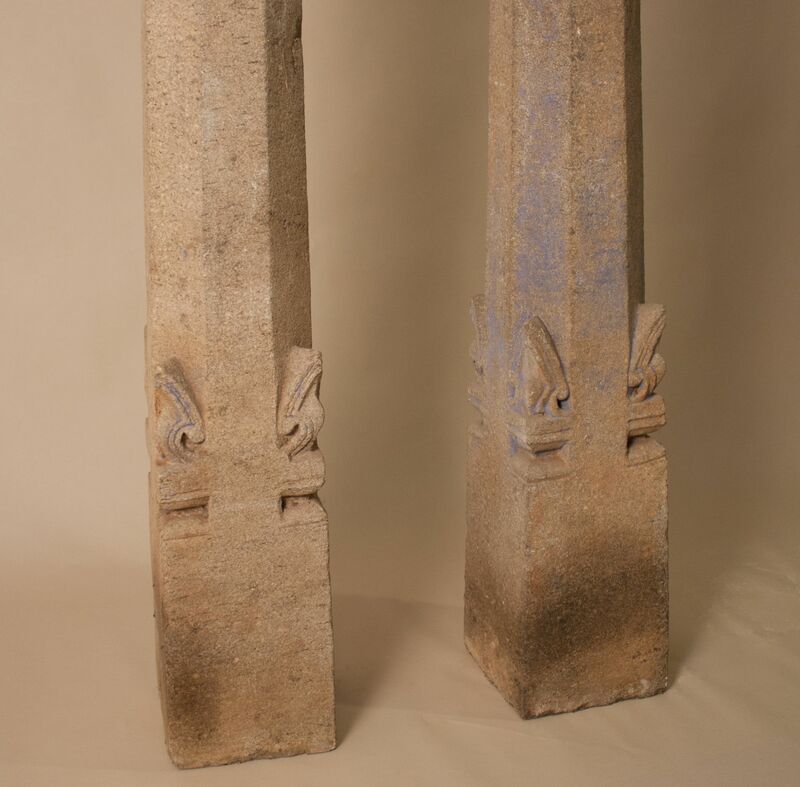 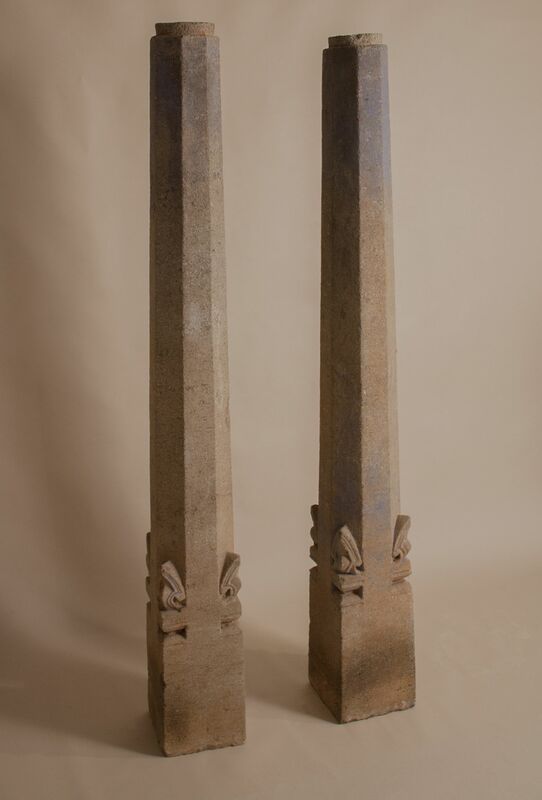 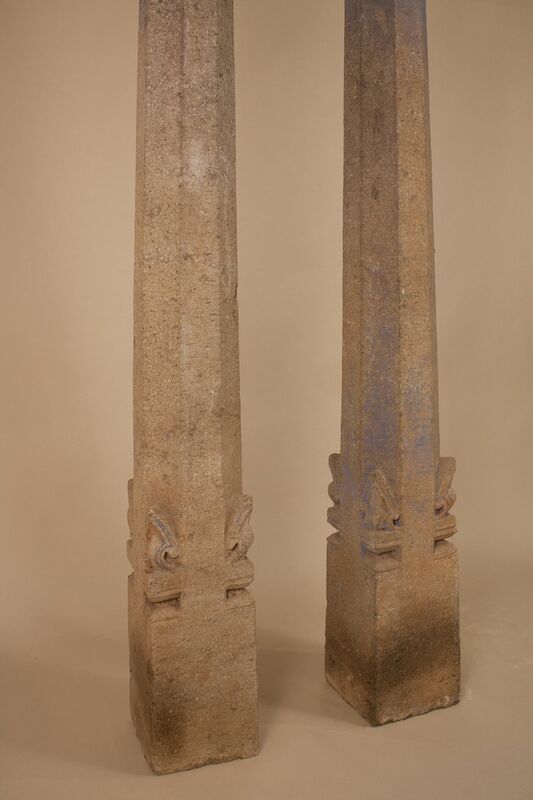 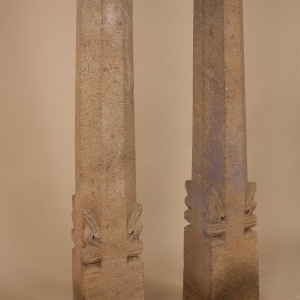 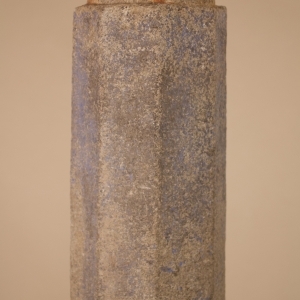 Simple and organic, the stone columns have retained traces of their original indigo blue paint. 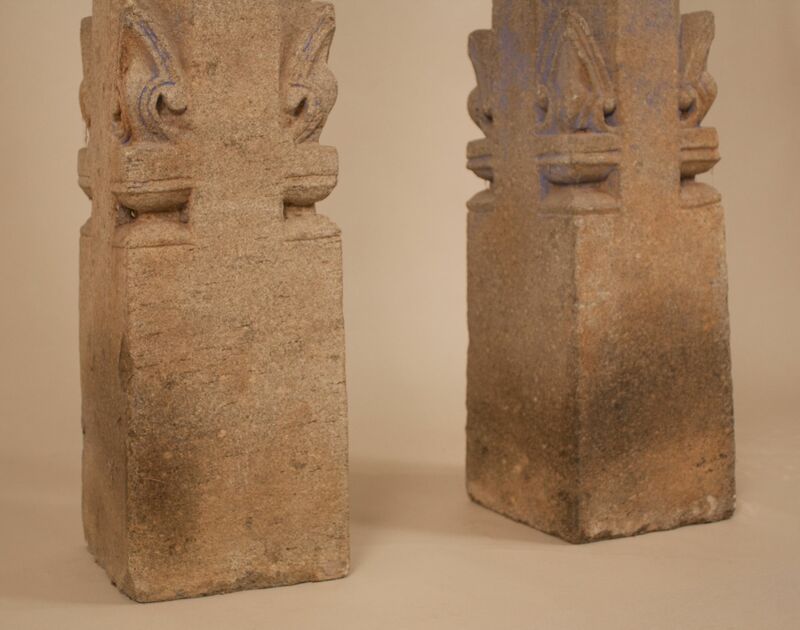 At 5 feet, 4 inches tall, interior and landscape design opportunities for these circa 1850 supports abound.